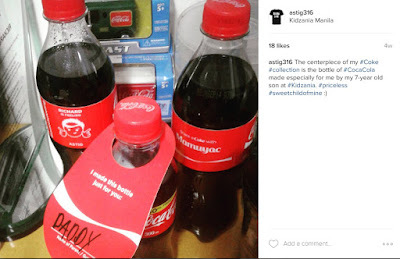 Astig Machismis: Why do people collect things? Almost anything, big or small, can be a collectible item and be a prized possession of its owner. The reasons why people collect something may vary but the bottom line is, this hobby makes them feel good or give a sense of pride on those precious stuff they kept with care for years. For some, like basketball fans who collects memorabilia of his favorite team or player is a way of expressing loyalty. For others like coin collectors, a rare find brings such an unexplained feeling of joy and satisfaction. For a working professional like me who works from 9 to 5 from Mondays to Friday, I seek for a venue to de-stress and have that quiet “me time” even for a while. I found my bliss in the art of collecting. I am a collector of anything Coke, diecast cars and other toys, and NBA cards. I regularly post in Instagram newly acquire items for my Charles Barkley collection. Of all my treasure, I am very proud of my Charles Barkley collection. Barkley, in case you don’t know the guy, is an NBA legend. Known in the league during his colourful basketball career as "Chuck", "Sir Charles", and "The Round Mound of Rebound", Barkley established himself as one of the basketball's most dominating power forwards. He was the 1993 Most Valuable Player in the NBA and one of the 50 Greatest Players in NBA History. He holds two Olympic Gold medal after the conquests of the “Dream Team” during the 1992 and 1996 games. He is also a two-time inductee into the Naismith Memorial Basketball Hall of Fame, being inducted in 2006 for his individual career, and in 2010 as a member of the "Dream Team". Currently, Barkley works as a basketball analyst for TNT. I would like to believe that I am Barkley’s biggest fans. He has been my idol growing up loving the game and continues to follow his stints as a TV personality. If I happen to stumble upon a Barkley collectible online or in thrift stores, I am more likely to shoot for it for a slam dunk purchase. 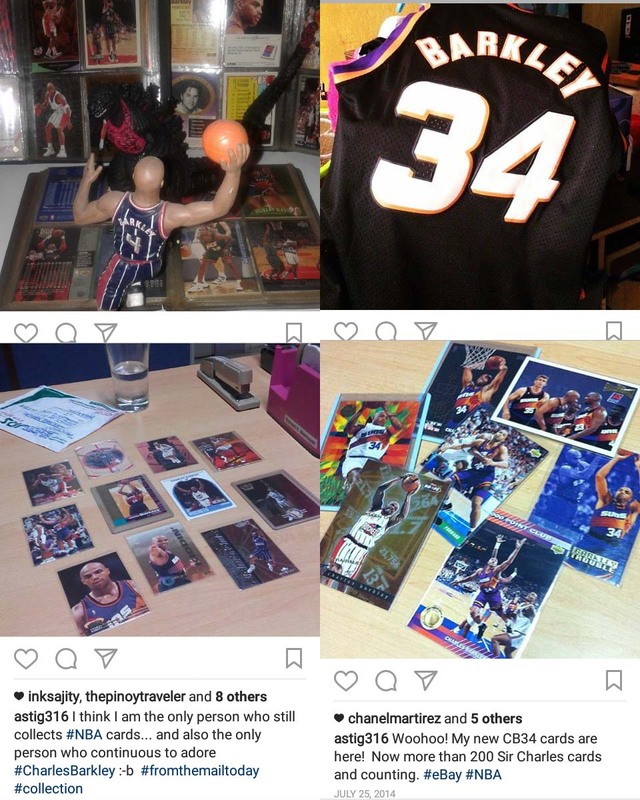 I haven’t personality met another Charles Barkley collector although I did meet ups for online sellers who own items featuring my idol like NBA cards, toy figures, jerseys and others. That is why if I find time online to search for groups of people who share my interest, I try to connect with people even from different parts of the world. 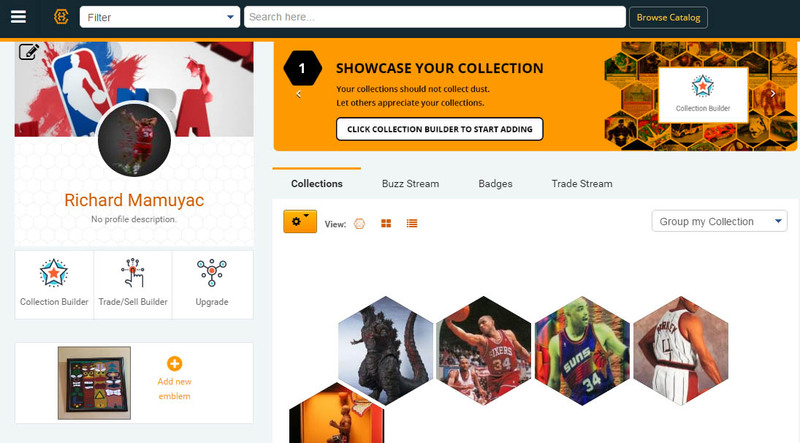 Then I discovered Collectors Hive, a social media platform made especially for collectors of just about anything. Since I find the site user-friendly where I can post my collections for my friends and other people can view and comment, I created a profile and started to post some of my Charles Barkley collection. Another cool thing about this site is that I can view my gallery wherever I am and anytime I want through my mobile phone using their app. My Collectors Hive profile which will soon be filled with more anything Charles Barkley. In a nutshell, Collectors Hive is every collector’s dream website where one can showcase his or her collection (as in anything); find a missing piece or an item that you’ve been looking for which might just be sitting in a room of another collector, meet people who collects the same thing you hold dearly; and also explore other items that might tickle your interest and start a new set of collection. View your collection online via the Collectors Hive app anytime, anywhere. Cool, right? 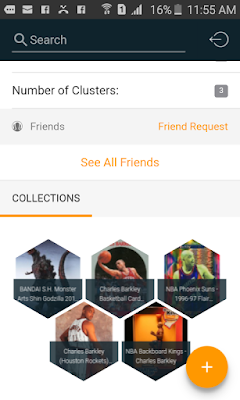 One great feature of Collectors Hive is an innovation in this mobile technology called the Item Scanner that the collector on manual data input of a particular collection item. 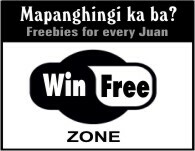 The user needs to scan the barcode only and information will be generated quickly and store it. Other features are the comparison of specs, prices and stock availability of the item from different international and local store sources. It’s now available for download using Android phones by visiting the Google Play store. Sounds exciting? Head on at www.collectorshive.com or visit their Facebook page https://www.facebook.com/collectorshive/ and create your own profile. You can start posting your items and who knows, you collection might grow soon. Now that’s one effective and fun work de-stress activity I am definitely looking at for years to come.